This system is a low cost yet highly robust system. It tracks up to 16 targets at a range of up to 1000 meters with ship noise. The TrackLink 1500LC System sells at 40% lower price with improved accuracy (3 degrees) when compared against competing products. This system brings the convenience of an USBL system to a large number of users who typically do not have the budget for an expensive USBL tracking system. This system is a cost-effective, medium accuracy tracking system. The accuracy of the system is 1 degree. It tracks up to 16 targets at a range of up to 1000 meters with ship noise. The TrackLink 1500MA System provides a highly robust solution to cost conscious users who require improved positioning accuracy. 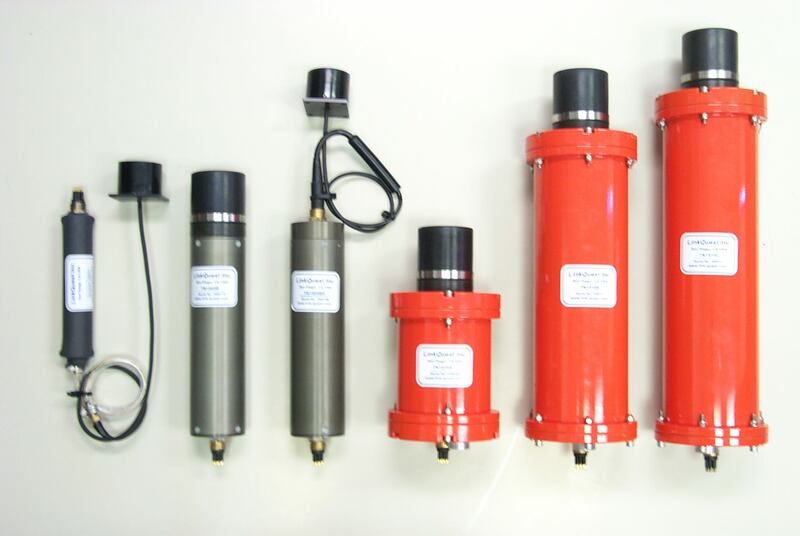 This system is a high accuracy USBL tracking system. The accuracy of the system is 0.25 degree. It tracks up to 16 targets at a range of up to 1000 meters with ship noise. The TrackLink 1500HA system is priced significantly below comparable systems. This system is an inverted USBL tracking system. The depth rating of the 1500I transceiver is increased to 1000 feet (300 meters). The accuracy of the system is 2 degrees. It tracks up to 8 targets at a range of up to 1000 meters with vehicle noise. The TrackLink 1500I system is designed for applications where the entire system needs to be submerged in deep water. LinkQuest offers wide selections of standard and customized power efficient transponders.